Any sort of toilet problem can be a major hassle. However, if you are at least a bit handy with tools and you have a good amount of patience, you can try at least one type of toilet repair job – fixing a running toilet – on your own. If you’re even the least bit hesitant to go the do-it-yourself route, however, put the tools down and call a professional with Ben Franklin Plumbing Bay Area. We’ll get to your home or business as fast as possible and take care of your problem as quickly as we can. Bend the float arm so that the water level, at its maximum, is an inch or so below the top of the overflow pipe. Also, make sure the float can move freely both up and down. Take off the float if possible and shake it. Replace it if you hear water inside. Then, lift up the stopper rod and take a look at the rubber ball. If it doesn’t bob and then doesn’t drop into place when the tank empties, it may need to be replaced because it has a corroded hinge. If the ballcock is damaged, it needs to be replaced. However, the problem may just be a worn-out washer. Turn off the water supply to the tank, flush the toilet, remove the valve plunger and lever assembly, and check the washer. If you need to replace the entire assembly, bring the old one with you to the hardware store to make sure you’re getting the right replacement. If you would rather leave this job to a professional, contact Ben Franklin Plumbing Bay Area online or call us at 415-821-4357. 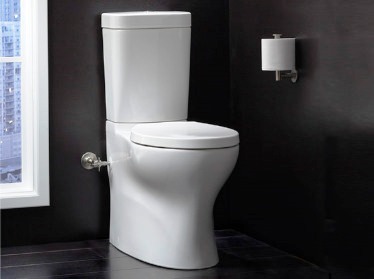 Do you have any toilet repair tips you’d like to share? Click one of the social media buttons on this page.